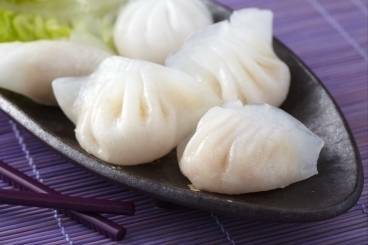 Steamed dumplings with a pork, Chinese cabbage, ginger and five spice filling. These two East-Asian spice mixes cannot be more different one from the other, however, if you have both in your spice cupboard, you can easily transform any dish into authentic fare. A sticky rice cake flavoured with green tea. Translated this means year cake and is considered a good omen for the coming year. These little flavour bombs are simple to make and a definite crowd pleaser. Make up several batches and freeze them for later: this is a great recipe to know. A family recipe which can incorporate a myriad of different version, more importantly including 2 whole Fish! An example of this communal broth, formed by adding ingredients and poaching them in the increasingly flavoursome broth. A Chinese classic of sweet and sour pork coated in a crunchy peanut crust. Barbary duck breast cooked in a honey and orange zest glaze served with Chinese cabbage cooked with mirin, ginger and garlic and a homemade plum sauce. Honey glazed duck breast served with wok fried Chinese cabbage and basmati rice with shiitake mushrooms.